McAllen Locksmith Pros: We Offer You Professional 24/7 Locksmith Services In McAllen, Texas, and surroundings. You can contact us anytime for our car fobs services. What Is A Key Car Fob? Known as the remote car keyless entry system, car fobs allow you to operate your car at the push of single button. Since 1990’s, almost every modern vehicle has car key fobs that come equipped with the transponder chips for additional security level. But while they offer you the best of security, getting car fobs replaced or repaired through direct dealer comes at a very high cost. So have you got a car fob that is lost or not working? Well, the experienced technicians at Locksmith McAllen are here for your service. Our reliable and experienced emergency locksmiths are available for almost every locksmith and deliver you the best of car fobs repair and replacement service. With more than 5+ years of experience, our team is equipped with experienced professionals. They have their hands on all types of car fobs issues and can handle all the car fobs repair and replacement service effectively. Moreover, McAllen Locksmith is licensed, insured, bonded, and hence, we ensure to offer you outstanding services. Irrespective of your car model and issue, we can solve it in no time. Do you need help with transponder key replacement? Want to get a duplicated car key? Looking for car key fob repair or replacement service? No matter what type of automotive services you are looking for, our team is here to help. You can also contact us if you need assistance with these services. Got a car fob that is malfunctioned, unresponsive or damaged? Well, with our state of art tools and equipment, our locksmith in Texas will repair it for you in no time. Also, whether you own a domestic car or a foreign one, we will help you with our professional 24/7 services in no time. Losing or breaking of a car fob simply renders your car as a useless one. If your car fob is beyond repair, we will also help you to replace it. Experts from McAllen Locksmith Pros will come to your location and will give you the best advice to solve your car fob issue. For your added assistance, you will always know when we will arrive and cost of your work done. They have all the necessary tools and are completely capable to handle all kinds of services. Whether you want a car fob repair service or a replacement one, the professional technicians at McAllen Locksmith Pros Texas will serve you in no time. Since our car fob service is mobile, our technicians will reach directly at your location, whether you are at home, work, road, or in a parking lot. Contact Us today to know more about our services. 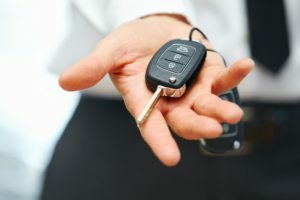 Get Top Car Fob Services In McAllen Texas https://locksmithmcallen.com/automotive/car-fob/ 4.1/5 based upon 30 reviews.